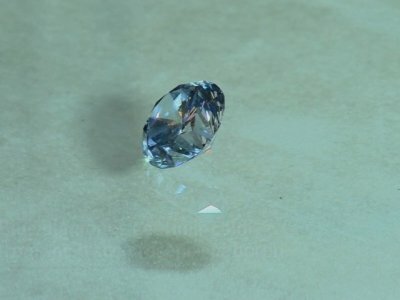 WASHINGTON (AP) — Blue diamonds — like the Smithsonian’s famous Hope diamond — are the rarest of all and how they formed more than a billion years ago is a bit of a mystery. Now scientists think they have a glimmer of an answer. Shirey and his colleagues used lasers to examine the diamonds’ imperfections — slivers of embedded rock — at the Gemological Institute of America. How the light is reflected helps identify the minerals inside, said Evan Smith, a research scientist at the institute who led the study. The 45-carat, walnut-size Hope diamond, long rumored to carry a curse, wasn’t included in the study but the findings help us know where it came from, said the Toronto museum’s Tait, who had no role in the research. The Hope diamond’s many owners included Marie Antoinette.